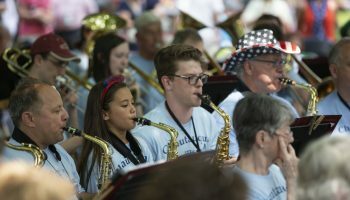 An annual Chautauqua tradition continues with the 27th Chautauqua Community Band concert at 12:15 p.m. Tuesday on Bestor Plaza. The band will perform a selection of patriotic favorites under the direction of Jason Weintraub. The band does more than contribute to the festive atmosphere on the grounds. 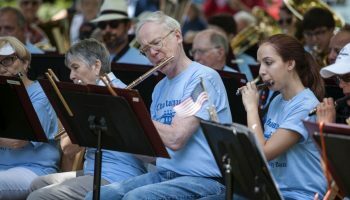 It lets Chautauquans who may have played instruments in high school or college dust off their horns and participate in the musical life of Chautauqua Institution. 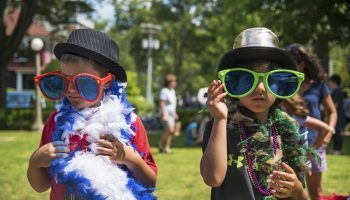 The program will include music the players can easily recall from their school days, like patriotic marches by John Philip Sousa and the charming Americana of Leroy Anderson. 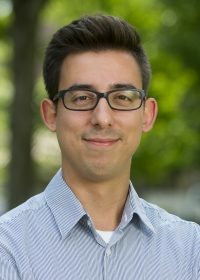 Professional players from the Chautauqua Symphony Orchestra also get a chance to play something other than their primary instrument in a fun, lighter program. Weintraub gets to trade in his oboe and English horn for a conductor’s baton. 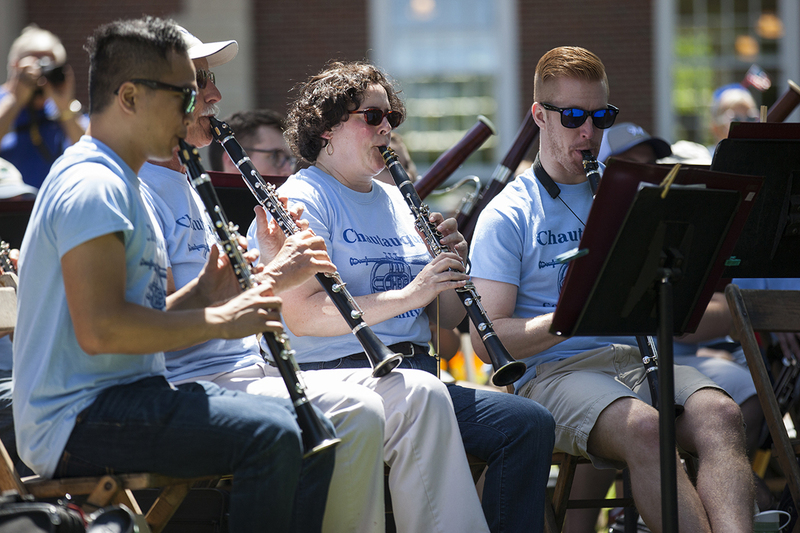 The eclectic group also includes students from the Music School Festival Orchestra, music educators and professional players who aren’t in the CSO. 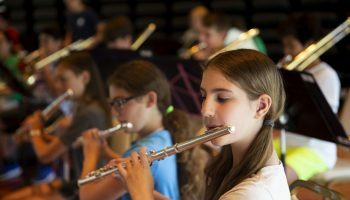 Chautauquans who don’t play an instrument can also participate. 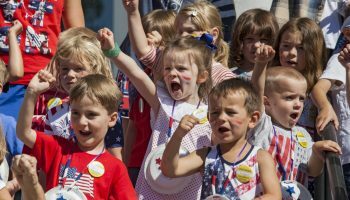 The program includes several chances for audience members to sing along to familiar tunes like “God Bless America” and “America the Beautiful.” And, if they don’t sing, Chautauquans can find a spot on the plaza to enjoy a picnic and take in the music. In the event of bad weather, the concert will take place in the Amp.